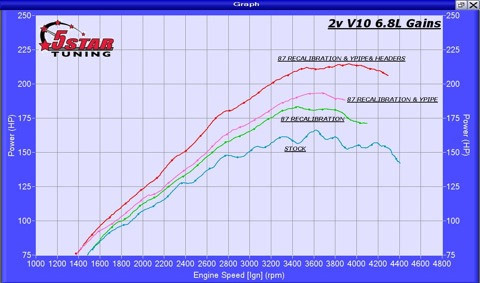 Got a 1998-2015 V10 RV? Home/Got a 1998-2015 V10 RV? 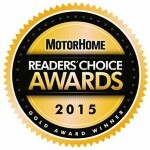 Voted one of the Best Performance Add on’s for Motorhomes by MotorHome Magazine. 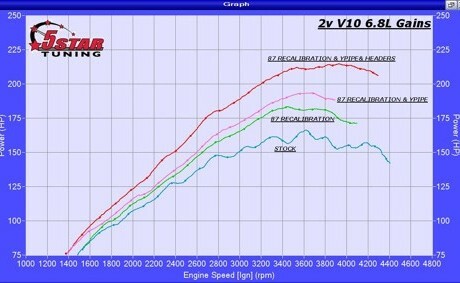 Custom Tuning your 2V V10 or 3V V10 RV is not a problem. 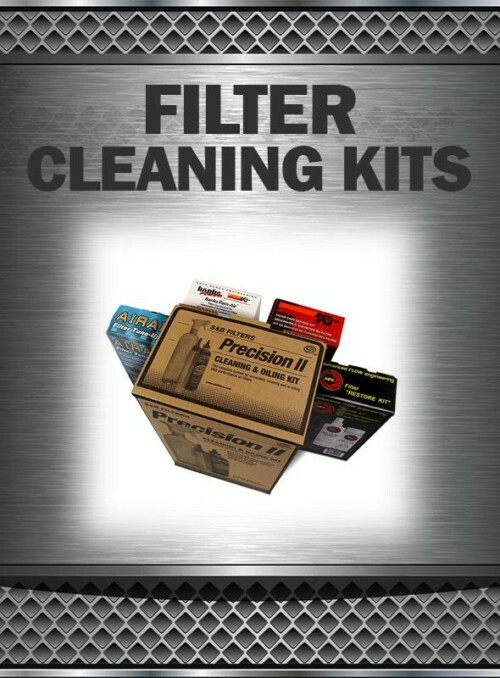 We have tuned many V10’s RV’s with great gains overstock. 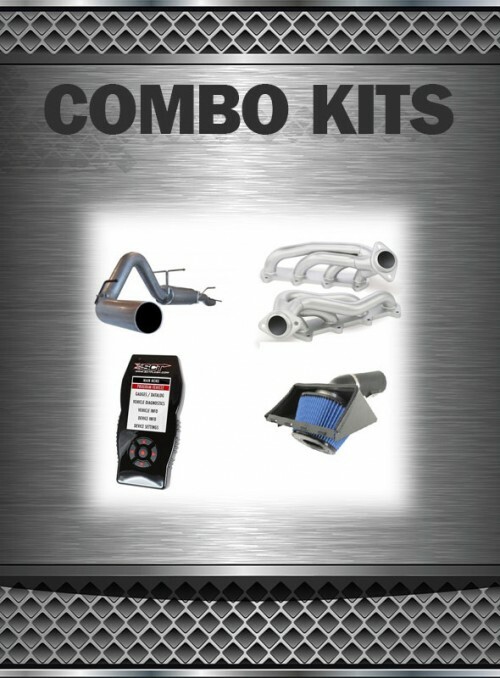 Our Custom Tunes address these general areas in how your V10 RV will operate and function. 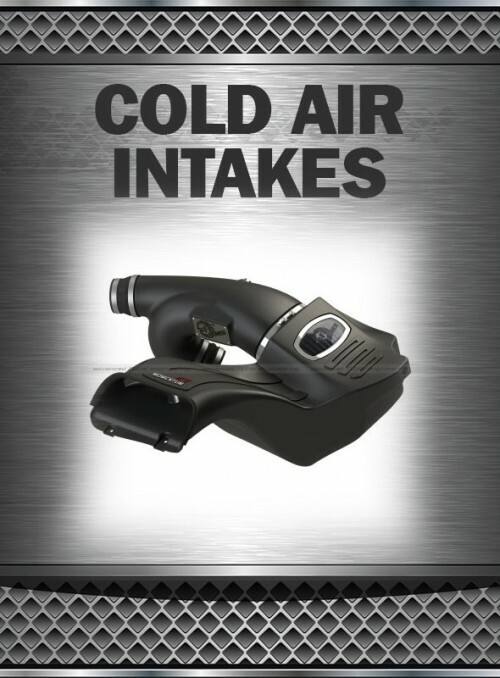 Fuel Control – Fuel tables are modified for either better economy or all out performance. Depending on your needs is how most tables are set up. 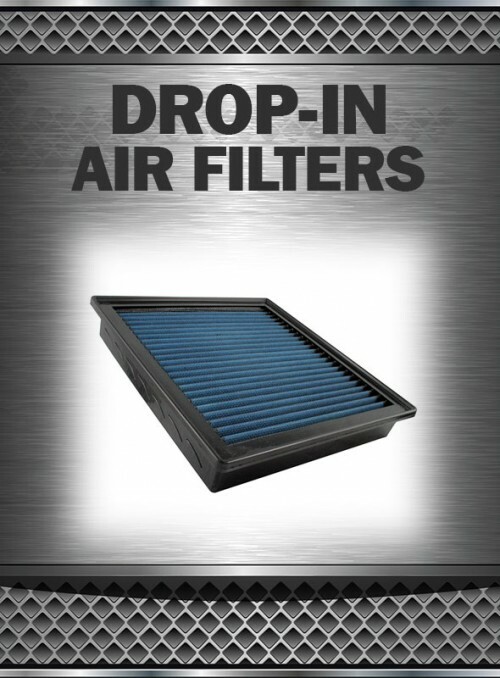 Most RV’s that go into Open Loop use this fuel table for its fueling requirements. 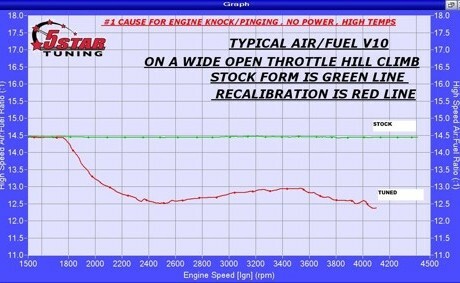 Most 2v V10’s will not step up into Open Loop (power enrichment) at WOT and from the factory are calibrated to operate in Closed Loop which restrains power levels. By correcting this power enrichment function alone can increase power and toque from your 2V V10. Drive By Wire – improvements will be much better throttle response, step on go pedal, vehicle will respond quicker…this DBW system is a torque driven system, it works by taking a certain amount of torque via engine and wheel and applies it to what the driver foot say it needs; a better way to explain it is its a torque limiter. It only allows so much torque at a given pedal position. Stock tables are conservative and numb at best and that’s why one would feel some times a lag or a goofy pedal with DBW systems. 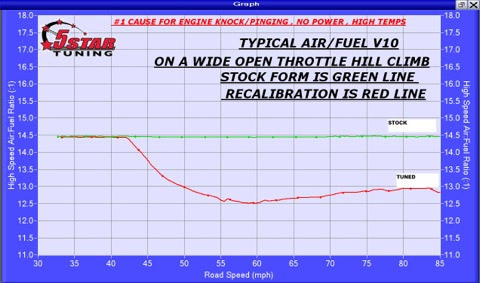 For a 3v V10 this is one of the most critical areas that must be addressed and modified to generate more torque and throttle response. 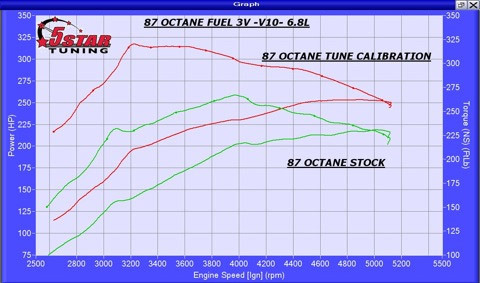 By reworking the OEM strategies makes your V10 seems as if 2 more cylinders were added over night! Timing- can be increased in most RPM areas for improved Torque and HP. 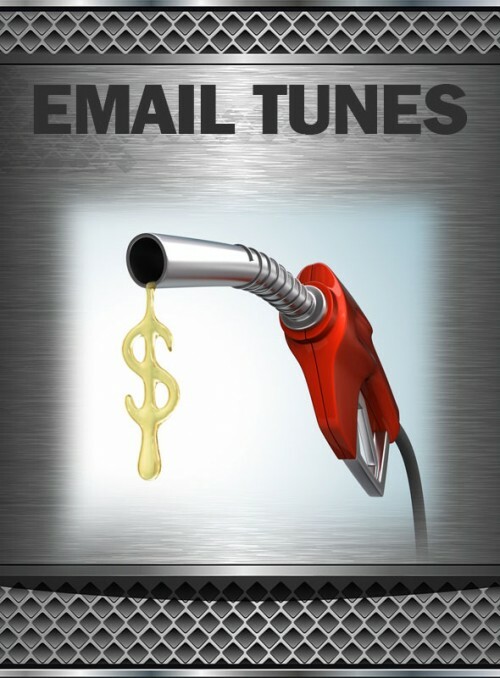 Running a higher Octane fuel will net more power and economy. 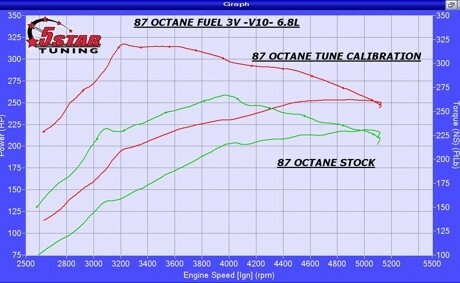 However, with a V10 2v or 3v even running 87 Octane fuel can yield some respectable gains in power and torque over stock. On the 3v V10’s, the Ford Strategy is to NOT use all 5 gears in the Torq Shift transmission. Hard to believe I know. In non-tow/haul modes Ford uses only 4 gears when going up through the gearbox. With a custom tune from 5 Star we will use all gears in our shifting and torque converter lock strategies. You will also see quicker shifts, as the RV will proceed into OD quicker than stock strategy. 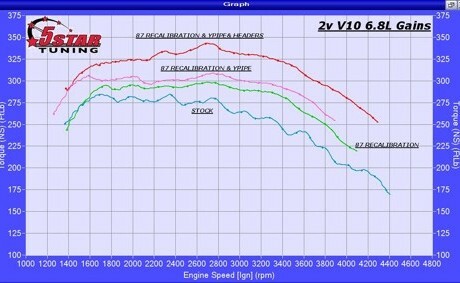 This will provide better power and economy our of your 3v V10. 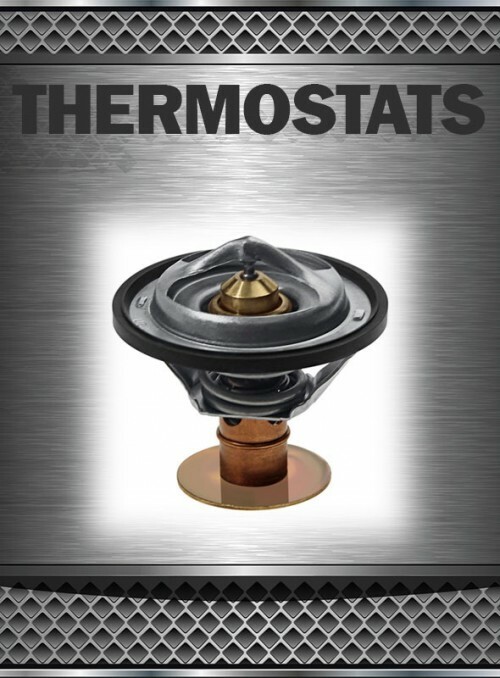 Shift pressures can be increased and timers can be decreased to help keep trans temperatures down and give the truck or any vehicle a better overall feel. In a V10 shifts are quick and firm most of the delay between shifts are eliminated when using custom tunes. 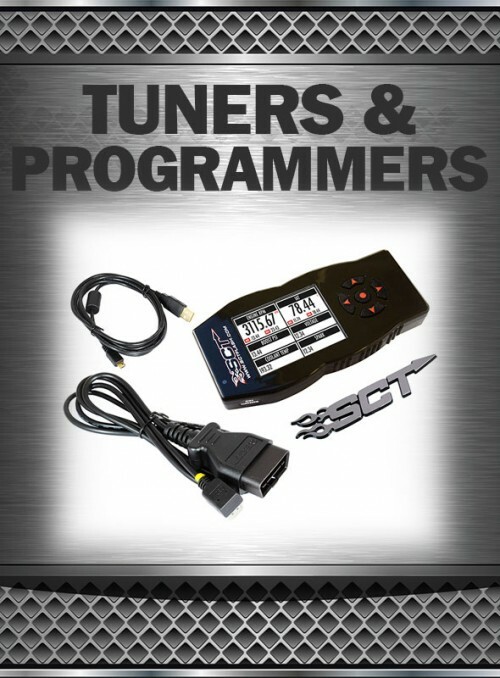 Shift Schedules – can be modified to an economy or towing calibration. An economy calibration up-shifts will be sooner. 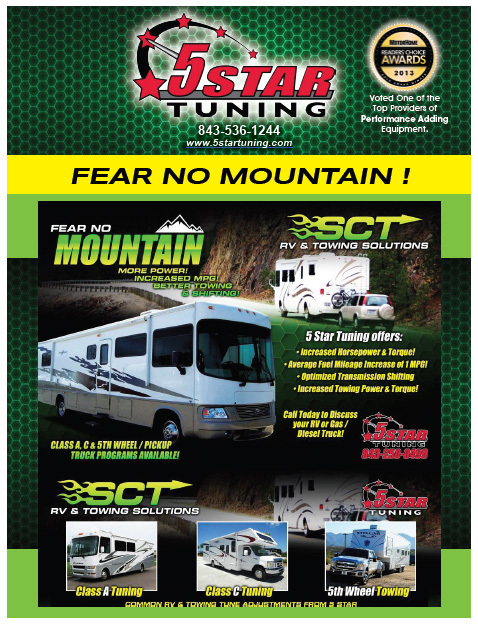 Towing calibration shifting will occur higher in the RPM ranges to keep vehicle from lugging and take advantage of the engines peak torque. In 2v V10’s that do not have Tow/Haul mode this can be beneficial when towing. On the 3v V10’s, the Ford Strategy is to NOT use all 5 gears in the Torq Shift transmission. Hard to believe I know. In non-tow/haul modes Ford uses only 4 gears when going up through the gearbox. 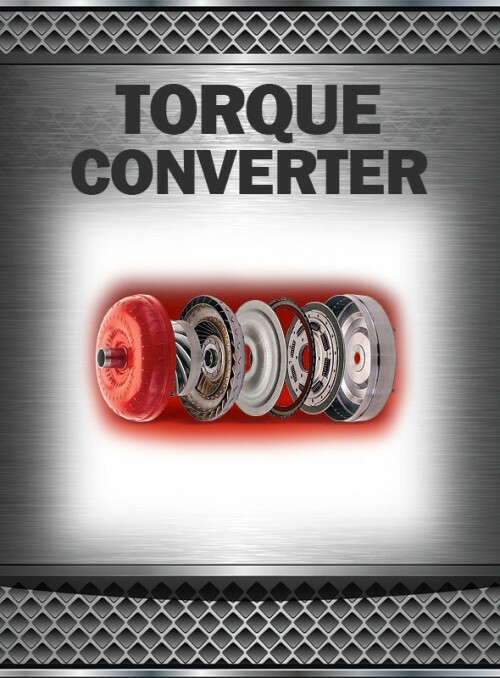 With a custom tune from 5 Star we will use all gears in our shifting and torque converter lock strategies. You will also see quicker shifts, as the RV will proceed into OD quicker than stock strategy. 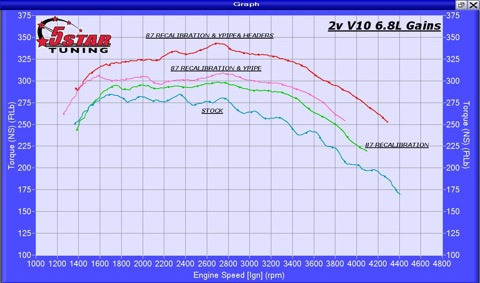 This will provide better power and economy our of your 3v V10. 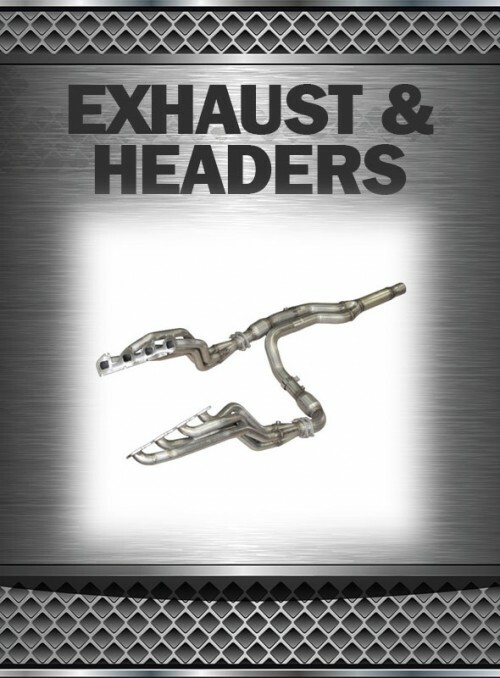 If using an SCT or Bully Dog Device and your coach has an aftermarket intake or headers: On your device under vehicle information, you will find your ECU Strategy Code. An example of an ECU Strategy Code is PKRK0R2. 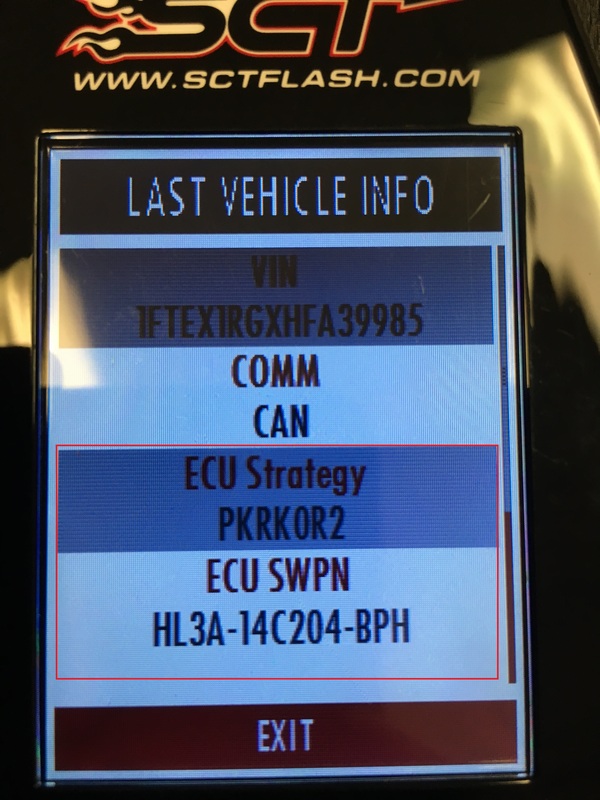 Note: If your vehicle is a 2015+ we will also need your ECU SWPN (HL3A-14C204-BPH).